Cataracts are whitish or cloudy patches that develop in a person’s eye lens and lead to blurred or clouded vision. Cataracts are the most common cause of visual impairment worldwide. Cataracts can develop in one or both eyes and interrupt the flow of light through the lens. The lens is usually transparent, allowing light to pass though to the retina at the back of the eye. Cataracts, however, cause the lens to become opaque and as the cataracts grow in size or number, vision gradually worsens, as less light is able to penetrate the lens. Retina: A thin nerve membrane located behind the lens that detects light passing into the eye. Nerves in the retina send signals to the brain via the optic nerve to create an image. One of the earliest symptoms of cataracts is blurred vision. The cloudier the lens becomes, the more sight is impaired, until vision in the affected eye is lost altogether. There is usually no pain associated with the condition. Cataracts usually affect the elderly but children and infants may also be affected by special forms of cataracts. Some of the other risk factors associated with cataracts include smoking, a history of cataracts in the family, poor diet, overexposure of the eyes to sunlight, long-term use of steroids and diabetes. For mild cataracts, high power glasses and brighter reading lights may help. As the condition progresses however, the eye may need to be operated on. Surgery is one of the most popular and most effective treatment options in cataract therapy. 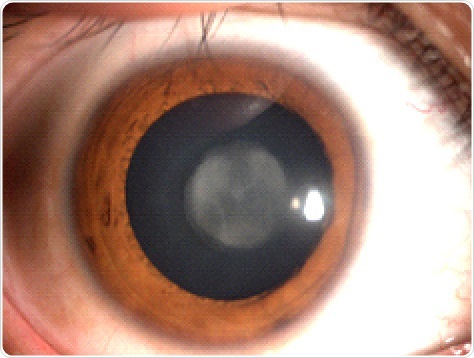 The operation involves removal of the affected lens, which is replaced with an artificial lens.